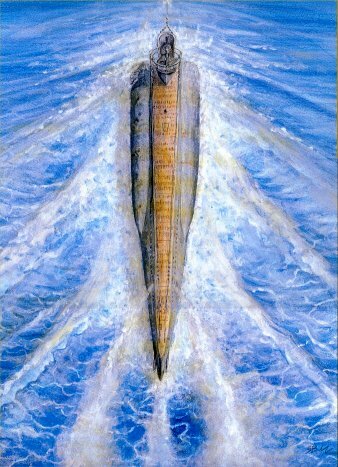 Original painting is acrylic on canvas measuring approx 16"x 12"
An unusual view of a Type VII U-boat as it untertakes an emergency dive. The bow is already submerged leaving the stern high and dry. Note the wooden planking on deck.